The BPA are delighted with the industry's support for the UK Pavilion this year. Over thirty companies are exhibiting on the UK Pavilion, which is three times larger than last year. 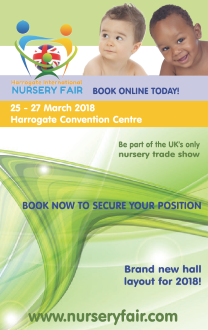 Be sure to visit the UK Pavilion in Hall 11.1, D-030/F-039 and visit innovative companies such as Trunki, Tippitoes, Babaslings, Konfidence, Hippychick, Wean Machine and many more. A full list of BPA members who are participating are listed below. 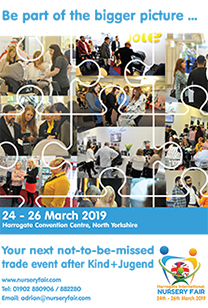 Recaro and Summer Infant are the latest major brands to announce that they will be exhibiting at Harrogate’s Autumn event, which is gearing up to be the show of the season! They join over 90 brands exhibiting at Harrogate’s new Autumn event. A selection of exhibitors include: Chicco, Dorel, Britax, The gro Company, Petite Star Hippychick, Emma Jane Maternity, Babies Blankets, Babywise Mattress Factory, Intelligent Retail, Stride Rite Europe, Personality, Baby Nova and Avant Direct. 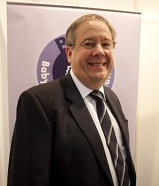 Baby TV and Global Freight Solutions have also signed on as major sponsors of the Autumn event. David Salem from Baby TV commented: “We are looking forward to sponsoring the new event. We have always been impressed by the number of exhibitors and visitors attending the spring show and we wanted to be associated with the new venture from the beginning.” Global Freight Solutions are sponsoring the BPA Concept and Innovation Awards. The winner presentation will be made on the Concept and Innovation stand on Wednesday 20th October. Launchpad sold out in Harrogate! Free Drinks in Harrogate this Autumn... why would you want to be anywhere else?! Harrogate’s infamous party is set to continue... and the drinks are on us! It’s a great chance to network with leading industry figures in a lively and informal setting. The European Nursery Federation met for the third time on 27th July 2010 in London where a presentation was made by Interel Consulting with a view to representing the Federation in their lobbying activity in Brussels. The structure of the Federation’s membership was also discussed and current members will be conducting talks with Nursery Associations across Europe to bring them on board and strengthen the Federation’s lobbying power. The BPA is delighted to announce a new partnership with Global Freight Solutions who is the UK’s premier parcel and carrier management company. They have partnerships with the UK’s top carriers and provide an enhanced delivery service through the use of their GFS technology and proactive customer care team. They currently provide services to several BPA members and further information concerning how this benefits our membership will follow in due course. Please be advised that the amendments to BS EN 12227 - Playpens for domestic use have been approved, which should be published later this year. We will advise you as soon as this becomes available. If you have any questions regarding any of the above, please call Julie James on: 0845 456 9570 or email julie@b-p-a.org.